This document was created using a Contractology template available at http://www.freenetlaw.com. That template has been modified and customized. This site is not designed to and does not provide medical or mental health advice, professional diagnosis, opinion, treatment or services. The Southwest Family Guidance Center & Institute, LLC (“SWFGC”) website is for informational purposes only. After reading articles or other content from this web site, you are encouraged to review the information carefully with a physician or mental health professional. Never disregard professional medical or mental health advice, delay seeking treatment, or rely on the information contained on this web site in place of seeking professional medical or mental health advice. The information conveyed through the SWFGC website should not be considered a medical or mental health consultation, and it is not meant to replace medical or mental health professionals’ assessment and decisions about the appropriateness or risks of care. If you think you may have a medical or mental health emergency, call 911 immediately. Medical and mental health information changes constantly and SWFGC does not guarantee the accuracy, adequacy, timeliness or completeness of any of the information on this site or on the linked web sites. By using the SWFGC website, you agree that SWFGC is not responsible for any errors, omissions, or any consequences arising from the use of the information contained at the SWFGC or any linked web site. References to any entity, product, service, or source of information not related to SWFGC in this site should not be considered an endorsement, either direct or implied, by SWFGC unless expressly stated otherwise. SWFGC does not recommend or endorse any specific tests, products, procedures, opinions or other information that may be provided on any linked web sites. The linked web sites may contain text, graphics, images or information that you find offensive. SWFGC has no control over and accepts no responsibility for such materials. Unless otherwise stated, SWFGC and/or its licensors own the intellectual property rights in the website and material on the website. Subject to the license below, all these intellectual property rights are reserved. You must not conduct any systematic or automated data collection activities (including without limitation scraping, data mining, data extraction and data harvesting) on or in relation to this website without SWFGC’s express written consent. You must not use this website for any purposes related to marketing without SWFGC’s express written consent. Access to certain areas of this website is restricted. SWFGC reserves the right to restrict access to other areas of this website, or indeed this entire website, at SWFGC’s discretion. If SWFGC provides you with a user ID and password to enable you to access restricted areas of this website or other content or services, you must ensure that the user ID and password are kept confidential. SWFGC may disable your user ID and password in SWFGC’s sole discretion without notice or explanation. You can access SWFGC’s clinical policies and Notice of Privacy Practices by clicking here. This website is provided “as is” without any representations or warranties, express or implied. SWFGC makes no representations or warranties in relation to this website or the information and materials provided on this website. These limitations of liability apply even if SWFGC has been expressly advised of the potential loss. By using this website, you agree to waive any and all claims and/or causes of action against SWFGC in relation to the contents of, or use of, or otherwise in connection with, this website. Nothing in this website disclaimer will exclude or limit any warranty implied by law that it would be unlawful to exclude or limit; and nothing in this website disclaimer will exclude or limit SWFGC liability in respect of any matter which it would be illegal or unlawful for SWFGC to exclude or limit, or to attempt or purport to exclude or limit, its liability. By using this website, you agree that the exclusions and limitations of liability set out in this website disclaimer are reasonable and agree to be bound by those exclusions and limitations of liability. If you do not think they are reasonable or do not agree to be bound by them, you must not use this website. You accept that, as a limited liability entity, SWFGC has an interest in limiting the personal liability of its officers and employees. You agree that you will not bring any claim or assert any cause of action personally against SWFGC’s officers, employees, or contractors in respect of any losses you suffer in connection with the website. By using this website, you agree to discharge all such individuals from any and all liability whatsoever in connection with the website. You agree that the limitations of warranties and liability set out in this website disclaimer will protect SWFGC’s officers, employees, contractors, agents, subsidiaries, successors, and assigns as well as SWFGC. You hereby indemnify SWFGC and undertake to keep SWFGC indemnified against any losses, damages, costs, liabilities and expenses (including without limitation legal expenses, attorneys’ fees, and any amounts paid by SWFGC to a third party in settlement of a claim or dispute on the advice of SWFGC’s legal advisers or in satisfaction of any judgment entered) incurred or suffered by SWFGC arising out of any breach by you of any provision of these terms and conditions, or arising out of any claim that you have breached any provision of these terms and conditions. Without prejudice to SWFGC’s other rights under these terms and conditions, if you breach these terms and conditions in any way, SWFGC may take such action as SWFGC deems appropriate to deal with the breach, including suspending your access to the website, prohibiting you from accessing the website, blocking computers using your IP address from accessing the website, contacting your internet service provider to request that they block your access to the website and/or bringing court proceedings against you. SWFGC may revise these terms and conditions from time-to-time. Revised terms and conditions will apply to the use of this website from the date of the publication of the revised terms and conditions on this website. Please check this page regularly to ensure you are familiar with the current version. SWFGC may transfer, sub-contract or otherwise deal with SWFGC’s rights and/or obligations under these terms and conditions without notifying you or obtaining your consent. These terms and conditions, constitute the entire agreement between you and SWFGC in relation to your use of this website, and supersede all previous agreements in respect of your use of this website. 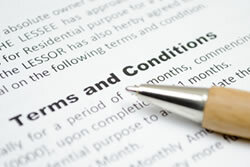 These terms and conditions will be governed by and construed in accordance with the laws of the State of New Mexico (not to include the New Mexico choice of law provisions), and any disputes relating to these terms and conditions will be subject to the exclusive jurisdiction of the federal and/or state courts of New Mexico.